Have you ever considered the cost of professional incompetence? To your company, your customers, your Self? Pull up a chair. Let’s have a chat, shall we? your employer’s attitude towards educating employees. Professional incompetence compounds itself every day you decide do nothing. Yes, your indecision is on you. Your indecision is further compounded by your expectation that it is the responsibility of others (aka, your employer) to force you to educate yourself. Your employers may decide to do nothing either. 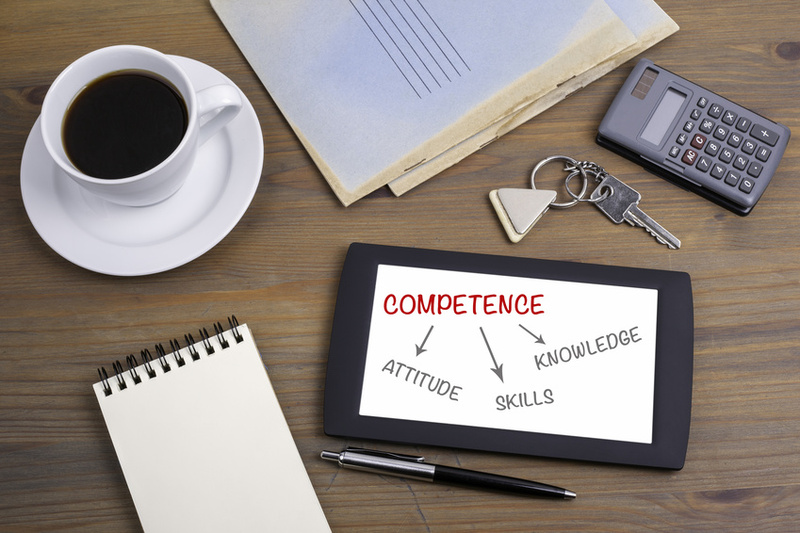 What is the cost of your current level of professional incompetence? You remain stuck where you are. What type of career strategy is that? What type of business strategy is that? What type of workforce strategy is that? Everyone sits at the business table when I coach small business teams. I am honored to work with extremely competent folks on the shop floors of small manufacturing companies. They are doing nothing about making themselves “more than” they are today. While I realize there is a sociology to my observation, I reject this. To these individuals, I say time and time again: “Why reinforce your own educational biases and perpetuate your idea of a self-fulfilling prophecy?” Someone told these talented individuals that they were “not college material” – and they bought into it. That is a tragedy that is theirs to reverse, today. Digital disruption of today’s workforce and workplace deconstructs barriers to learning programs and education. Open those portals. Educate yourself out of your professional incompetence. I hear from a lot of extremely competent sales people who struggle when targeting management roles in new companies. The reason? These talented sales people were hired because they knew how to sell productively and profitably, regardless of whether or not they graduated from a higher level academic institution. The problem? Once these sales people go after higher level roles, their lack of a college degree is an impediment to their professional forward progress. These folks have been away from college for so long, that they are plagued by self-doubt that they have the chops to compete academically. This is the same garbage that still rattles around in their heads: it kept them from completing their degree in the first place. I coach enough small business CEOs who have similar stories regarding their learning pedigree. They became relatively successful as the heads of their companies. However, their businesses are stuck because, quite frankly, these individuals are professionally incompetent when it comes to leadership, business process management and a solid understanding of operations. Ouch! These small business CEOs continue to hire those shop floor employees who, themselves, are adverse to learning and education. It is a vicious workforce cycle. In addition, these CEOs continue to depend on the efforts of sales people who, themselves, are stuck in what worked for them 10 years ago. While these companies hire me to “take their business to the next level” the reality of their business case is that professional incompetence keeps their businesses small. That is a tragedy. You see, I firmly believe that economic recovery and development is rooted in the viability of microbusinesses and small businesses. Especially in the manufacturing, engineering and IT sectors. Professional incompetence, rooted in personal bias towards education and learning, holds extremely talented folks back from tapping into the power of big data and predictive analytics. Their professional biases and baggage keep them stuck where they are. That is not acceptable, in my playbook. There is no mandate that small businesses have to “think small.” There are big strategies and vision available to take their businesses to the next level. What is required, however, is getting real about the cost of professional incompetence in their organizations. Why continue to short sell yourselves? Your future marketplaces await your products, services, platforms and, most of all, people. Babette N. Ten Haken is a strategist, coach, analyst, author and blogger. Her focus: the interrelationship between teams, leadership and culture in technology and manufacturing. Her Workshops and Professional Coaching Tune-Ups focus you and your teams on context, clarity and confidence in the execution of strategy. Babette’s Playbook of collaboration hacks, Do YOU Mean Business? is available on Amazon.com. This is a very accurate evaluation of many small businesses. Thank you. My first thoughts are these. Small businesses do not need to be big businesses. It’s ok to remain a small business but it’s imperative to continue to grow and be educated . Whether it’s with a college education or simple self and business improvements. I would always ask my employees what are you currently reading or listening to. I always have my employees books to read or CDs to listen to in the car. I always tried to get them to listen to something while in the “automobile university” time in the car listening to something to help them be better people. I always gave my employees industry magazines and self help books. They were encouraged to simple read one chapter a day. Many thanked me for helping them to read. Many were not readers. So simply making small improvements could help them to feel better about themselves which always made for a better company… No matter the size. Our motto is “We Are On Your Staff, Not Your Payroll” our business was to serve others . I was adamant that we all( starting from the top) treated EVERYONE with Love, Dignity and Respect! Doing this simple thing and I assure you , your bottom line will take care of itself! Thank you for the good message and thank you for your time listening to my massage!